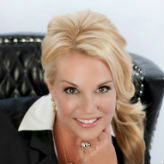 A recent graduate of Champions School of Real Estate, Dawn is the newest addition to Energy Realty. Her “energy” and eagerness to help her clients shows what “new blood” can do for a company. A graduate of Houston Baptist University, Dawn knows her way around Houston. Living here most of her life, she has established herself, raised a family and dabbled in investment real estate. Her past career in the medical field allowed her to form good patient care skills. This is clearly paralleled in the care she gives her clients today. Dawn’s husband of 15 years is a physician and they have 3 boys. Family is important to Dawn and she wants to help your family make the next move.